Oh man, let this be more than a (sorry, wait for it) pipe dream! 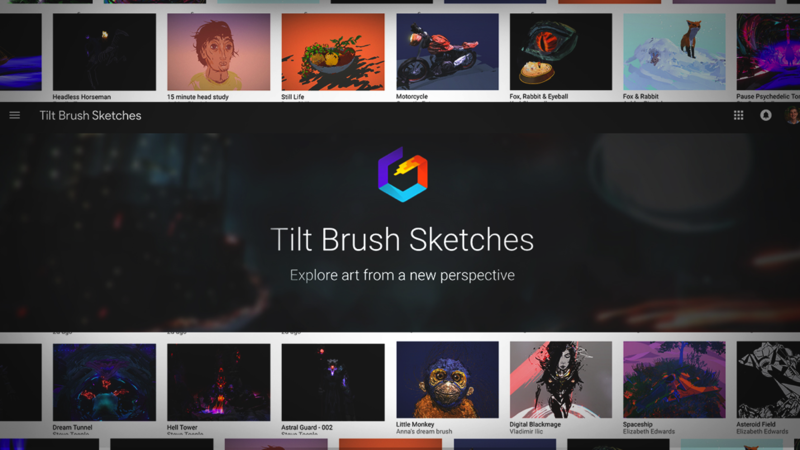 Google’s VR paint experience Tilt Brush just got a hefty update with a slew of new features that let users tweak the environment for more dynamic lighting and color options. But even more exciting: The community is getting its own social website where they can upload their art for others to download and remix themselves. In addition to letting you ride along “in the cockpit” as it were, the goggles also allow you to control the camera—set focus, take pictures, or start and stop recording. And if you use DJI’s newest intelligent Fixed-Wing Mode—”the aircraft doesn’t turn left or right but instead flies forward with enough rotational movement for realistic flight simulation”—you can let the drone do the flying while you look around, enjoy the view, and take pictures. 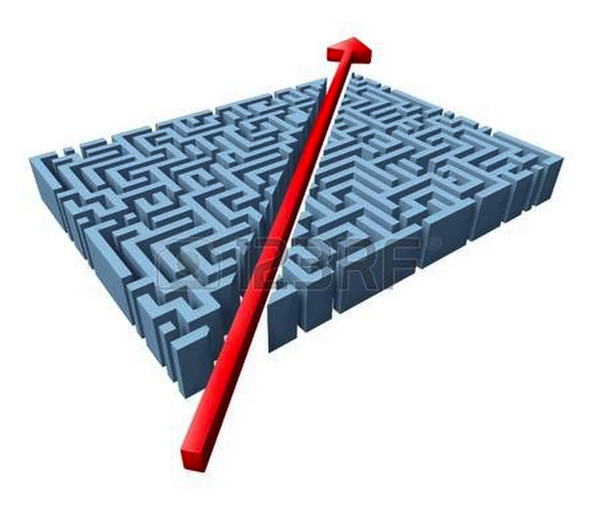 Footage from those cameras runs through the Jump Assembler, which uses sophisticated computer vision algorithms and the computing power of Google’s data centers to create 3D 360 video. 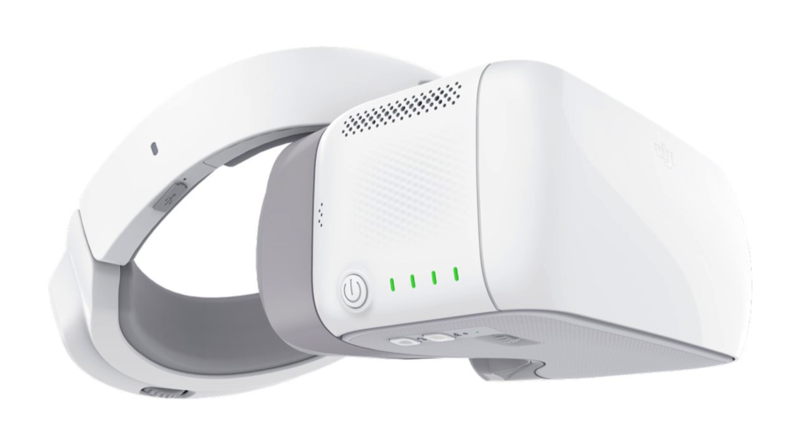 Amazing VR videos have been made with Jump, such as The New York Times’ Great Performers collection, Within’s “The Possible” series, the NFL Immersed series, and Wevr’s “Internet Surfer” video. 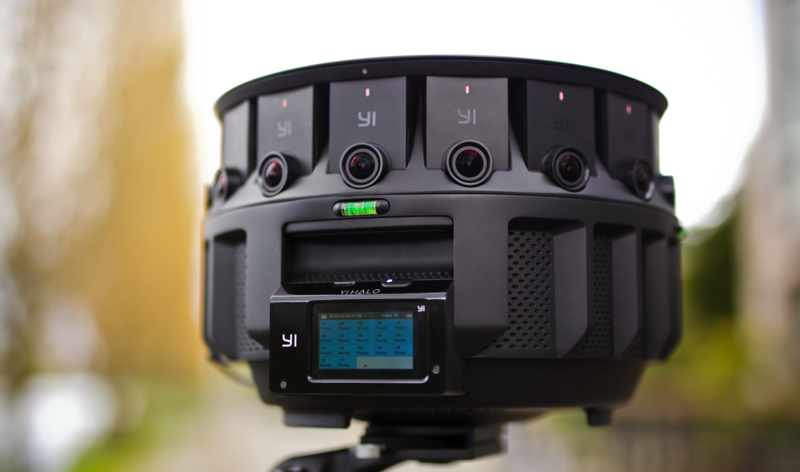 Jump Start gives selected filmmakers both free access to a Jump camera and free unlimited use of the Jump Assembler for their VR film. Over the next year, the program will give over 100 creators these tools and enable them to make their vision a reality. 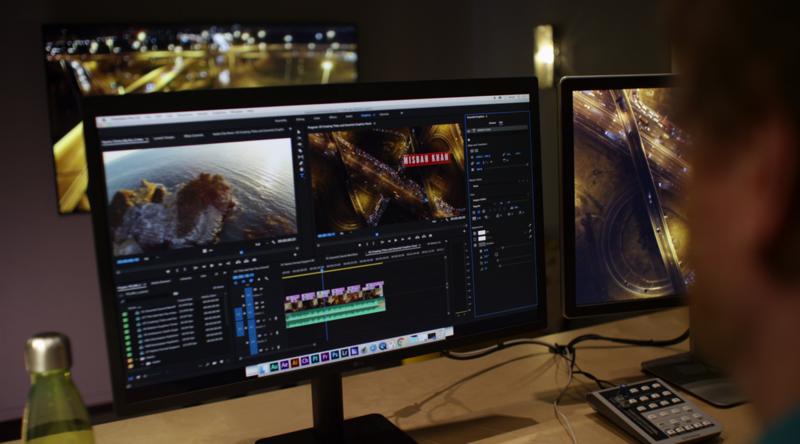 Applications to Jump Start open today, and filmmakers have until May 22nd to apply. 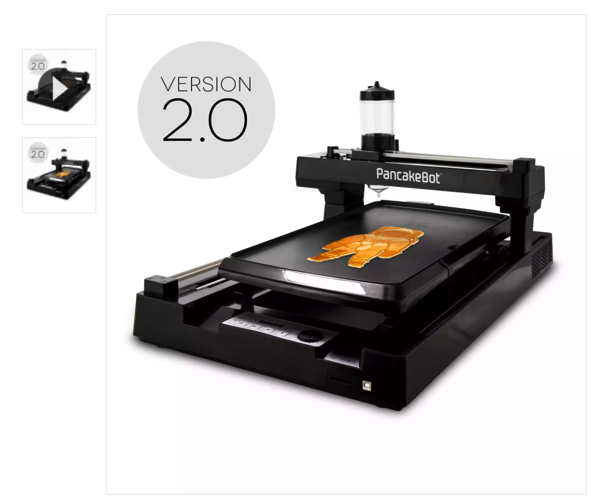 PancakeBot 2.0 is the the next generation PancakeBot with the ability to change the printing speed, included SD card, and added improvements to simplify user experience. The PancakeBot 2.0 lets kids and adults express their creativity through food while exploring technology. Yeah, but can it squeeze out sacks of fruit juice…? Tap and hold the bookmark icon underneath any post to save it directly to a collection. 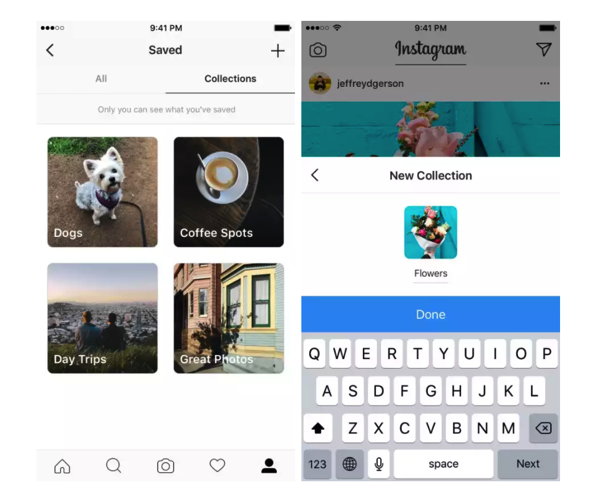 You can create and name a new collection when you save a post, or you can add it to one you’ve already created. curation (a la Pinterest—drag the shiny-shiny back to decorate your cave). This is going to be a license to print money: Let Kylie Jenner (or mouth-breathing celebretroid of one’s choice) create collections of merchandise that hang off the main profile & enable instant purchasing. Hopefully it’ll also benefit individual photographers, by offering a crazy-simple way to buy prints. Stay tuned.